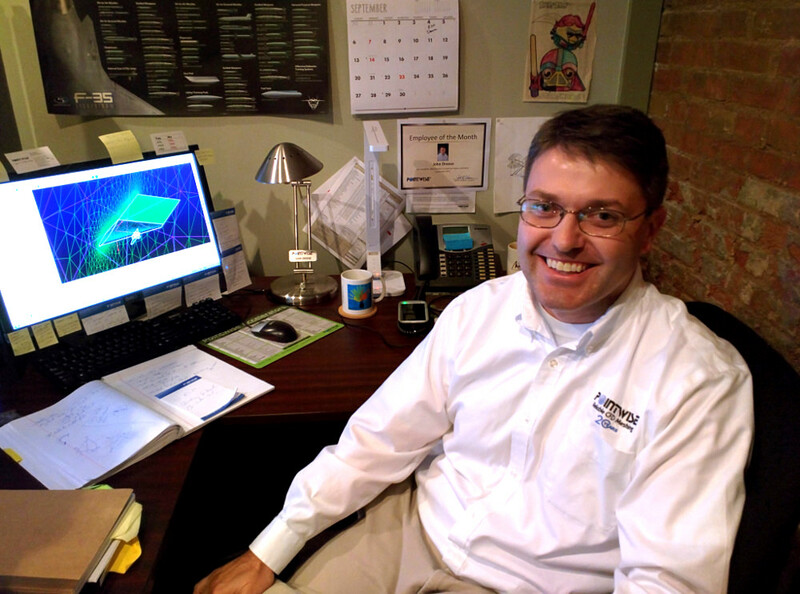 John Dreese, Senior Engineer on the Technical Support Team. I was a fortunate kid. My parents encouraged me to follow my interests which tended towards airplanes at a young age. I eventually attended The Ohio State University where I earned both a Bachelors and Master’s degree in Aeronautical Engineering. My proudest moment at OSU was being part of the team that built and raced a human powered vehicle during the 1994 International Human Powered Vehicle Association (IHPVA) Championship held in Eureka, California. Our vehicle was called the Buckeye Bullet and it was fast. To keep the weight down, we built it out of fiberglass, Kevlar and aluminum. We had a crushing defeat that involved, unfortunately, a parked Ford F-150. The whole project was one of the best learning experiences I’ve ever had. 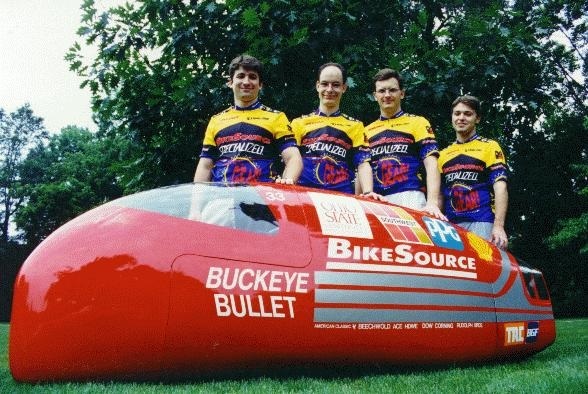 The Buckeye Bullet human powered vehicle built and raced in the 1994 International Human Powered Vehicle Association Championship. For graduate school, I worked on two projects. The first was a wind tunnel study of tail icing effects on a de Havilland DHC-6 Twin Otter; this even involved a short stint at Cleveland’s NASA Glenn where the flight testing took place. The second and most important project in graduate school was the focus of my Master’s thesis: elliptical airfoils. The unique advantage of elliptical airfoils is that their performance is independent of whether the air is coming or going. I ran transonic wind tunnel tests and CFD analyses for our candidate airfoils. The whole research project was in support of the Boeing X-50 Dragonfly program, an experimental canard-rotor-wing (CRW) aircraft. Two prototypes were built and flown. 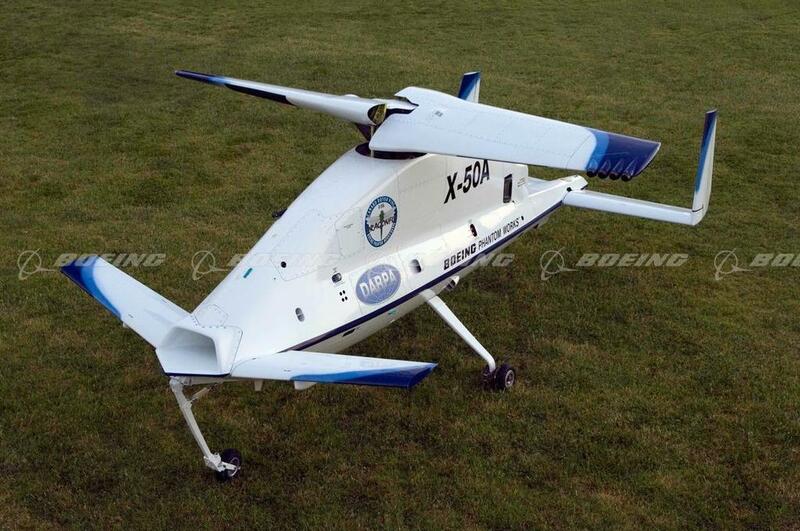 The Boeing X-50 Dragonfly canard-rotor-wing aircraft. In 2012, a rare opportunity came up to join the Pointwise team. My work here has allowed me to expound upon the CFD roots that I established in graduate school. Grid generation is really the foundation for any good CFD solution, so it has to be done right. The subject of grid generation is pretty big, so I’m learning something new every day. One of the cool benefits of being at Pointwise is that I get to meet a lot of great people who are working on fascinating projects. What software or tools do you use every day? I use Pointwise every day, all day. For ancillary tasks, I use Outlook, Excel and Word. For DIY videos, I use Snagit to perform screen captures and PowerDirector to edit the Pointwise tutorial videos. For graphics generation, I use a combination of Paint Shop Pro and Paintbrush (yes, the Windows default). Believe it or not, I still use Notepad quite a bit too. My desk is in a state of organized clutter. I know where everything is and which stack it’s in. My main monitor doubles as a post-it note holder. My desk is the last stop on the technical magazine rounds, so I literally have a Magazine Mountain on my desk with occasional avalanches. 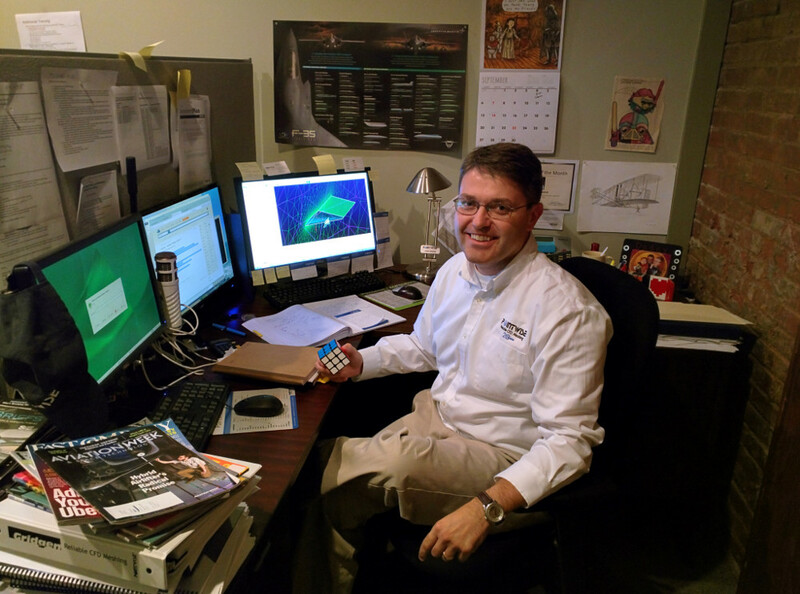 My regular work involves helping our customers use Pointwise in the most efficient manner possible. This involves answering daily questions, teaching our training classes, and producing tutorials for the software. What would you say is your meshing specialty? Between the two major styles of gridding, unstructured is definitely my strong suite. However, I’m working on a structured grid project to help refine my skills in that area. If I had a specialty here, it would probably be software installation, which is no small task if you consider how many operating systems we support. Somebody once said that I could install Pointwise on a potato. That was probably exaggeration. Any tips for our users? If you run into an issue that is holding back your progress, please contact us immediately. Email us at support@pointwise.com or call us at 1-800-4PTWISE. We are here to answer your questions from 8:00am to 5:00pm. If you don’t contact me, I’ll be forced to finally deal with Magazine Mountain or waste time trying to install Pointwise on taters. What project are you most proud of and why? I’m proud of the video tutorials that we make. These seem to be very popular and we have a lot lined up for production. I’m also proud of the features that I’ve helped get put into Pointwise. Probably the one you might recognize is the orient command for structured domains. What CFD solver and postprocessor do you use most often? Are you reading any interesting technical papers we should know about? It’s not exactly a paper, but John D. Anderson Jr.’s “A History of Aerodynamics” is perfect for anybody interested in why aeronautical engineering looks the way it does. Do you plan on attending any conferences or workshops this year? I just attended the Metacomp (CFD++) Symposium in Pasadena, CA. I usually attend one of the AIAA conferences every other year. This year I was at the AIAA Aviation conference in Dallas. What do you do when you’re not generating meshes? When I’m not at Pointwise, I spend most of my time with my family. Oh, and the Rubik’s Cube: I’ve been a speed cuber for about ten years with my average solve time running around 60 seconds. At one point, I was the 649th fastest cuber in the world, so I’ve got that to fall back on. What is some of the best CFD advice you’ve ever received? Get Pointwise. And make sure double-precision graphics is enabled (Edit/Preferences/Graphics). If you had to pick a place to have dinner, where would you go? My restaurant needs are simple. The best place for an anniversary dinner is the Reatta Restaurant in downtown Fort Worth. For all other occasions, there is Subway. This entry was posted in People & Places and tagged aircraft design, Boeing, EnSight, Fluent, Lockheed, meshing, NASA, OpenFOAM, ParaView, Pointwise, structured, support, Tecplot, This Is How I Mesh. Bookmark the permalink.